Do you have a file(s), folder, or directory you need to save from prying eyes? Need to rest knowing your data is encrypted and locked away? 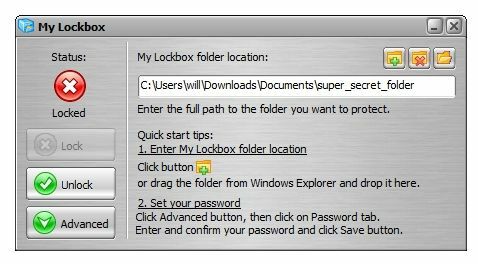 Enter My Lockbox – a secure, advanced, freeware application that allows users the ability to lock an important and otherwise unsecured folder (and contents) from being available on your computer except with a secure password. 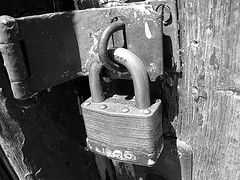 We have covered other ways to lock windows folders, such as Easy File Locker and TrueCrypt, among others, but My Lockbox is different in many ways. One major feature being that not only will the newly locked windows folder not be able to be accessed directly, but it will disappear completely from view and not viewable from anywhere on your local or networked computers, which is not a common feature among similar applications. To start, download My Lockbox (Windows only). The My Lockbox installation should promptly load and is relatively self explanatory, except for one essential part. 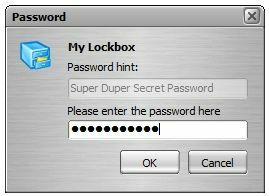 Simply enter your “Super Duper Secret Password” and BAM! you are in. 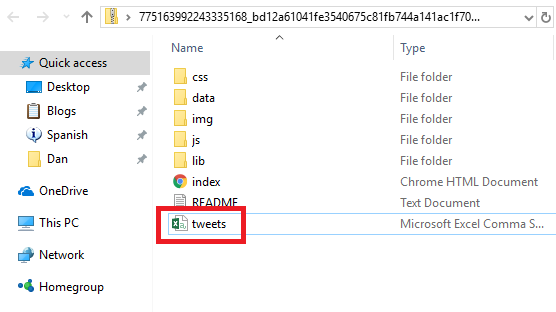 Furthermore, if you attempt to find the folder in the directory it was located in, for example C:\User\will\Downloads\Documents\ no folder labeled super_secret_folder will show! And if you were apprehensive about My Lockbox simply moving it to the C:\My Lockbox directory as it seemed to state in the install, this is not the case as there does not seem to be any files or folders located there after locking a folder. My Lockbox can even be set up to open with a hotkey (by default: Ctrl+Shift+P) without the program being open and visible on your task manager at the bottom of the screen. 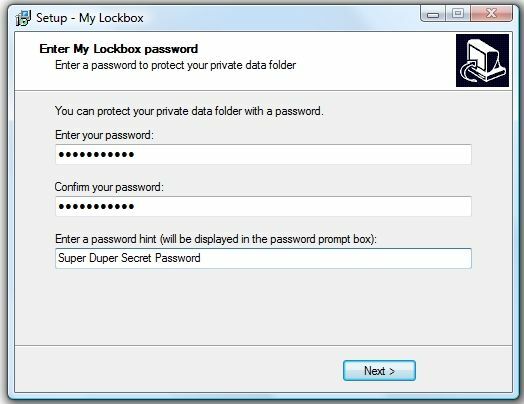 For even more secrecy and security, delete the My Lockbox desktop icon from view and access the program from the C:\Program Files\My Lockbox directory OR install My Lockbox on a password-protected flash drive for that ultimate (and of course legitimate) computer nerd/spy feeling. What do you use to keep your important files and folders out of view? Tell us in the comments!